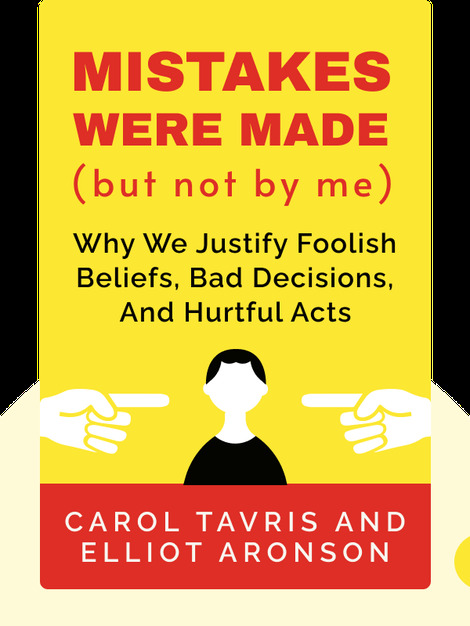 Through studies and anecdotes, these blinks explain why, when we make mistakes, we often come up with self-justifications instead of admitting the mistakes to ourselves. It also shows how detrimental these self-justifications can be to personal relationships, medicinal care, the justice system and even international relations. Carol Tavris and Elliot Aronson are social psychologists and lecturers. 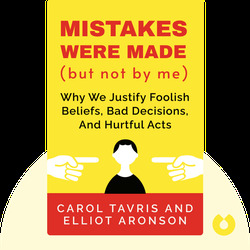 Carol Tavris has authored or co-authored several books, including Anger: The Misunderstood Emotion and The Mismeasure of Women. Elliot Aronson has also authored and co-authored books such as The Social Animal and Nobody Left to Hate.